Extra Details: Ren has long pointed ears duel pointed. The ear lobe is pierced through twice, he's light on his feet able to walk over the surface of freshly fallen snow without sinking in or making an indent in it. Able to walk unstable rock surfaces that would fall apart under anothers feet. He is quiet the archer able to shoot something miles away in the eye, two short swords silver and lovely to look at. His quiver seems to hold endless arrows and they are heavy not light weight. Ren is in tune with nature, all nature around him be that animals or even the weather not much upsets him. Ren has two unique skills. One he is a weapons dancer. The bow and arrows and the swords are both his creations created and maintained by his powers he can create any weapons he has has seen and use them to there fullest extent dancing with them around him unseen or expanding a little more energy and creating them solidly in the visible world. The other is he's a potions master. 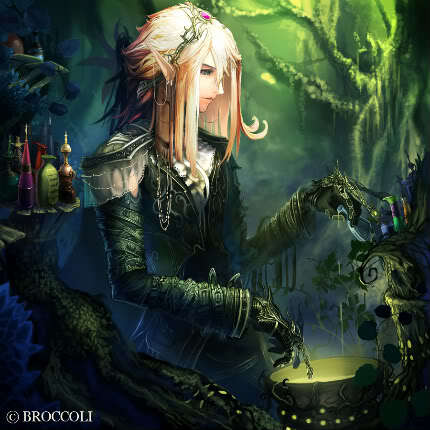 A mage among the elves a magic user who specializes in making potions. They never fail him. Personality: Ren is a calm man, not easily upset or angered he seems to always be at peace and thinking through things with a calm and level head. But that same calm makes him a fiece warrior. 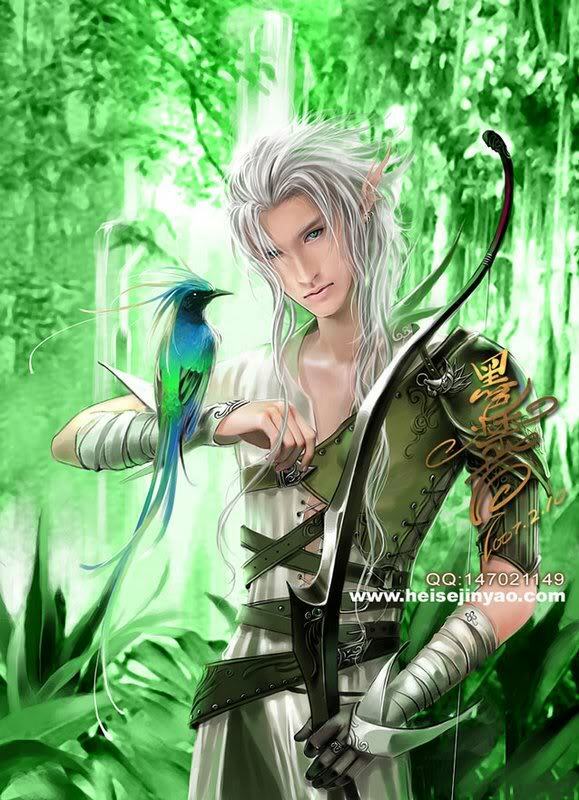 Ren is the eldest son of Queen Vancarmiel, and Heir to the elven throne. Centuries ago back when elves still walked among the humans and other creatures of Earth things weren't going well and as the war's between those who walked at night and those who walked during the day began to surface more and more the elves left the world of mortals behind to enter into the lost isles of Avalon. Now centuries later Ren has returned to Earth to the lands of mortals on a peaceful mission from his mother. Vancarmiel wishes to learn about the changes among the humans and the such. Although truth be told the elves are not much better at things then any other race....at least not under his mothers reign but he can not upsir her reign as queen or be consindered soiled and shunned from among his people. The problem there in lies the whole thing of marriage. Vancarmiel has decreed that anyone can lay with him can demained it to try to gain an heir to the throne wither or not he wants them is beside the point. He has been forced to lay down with soo many men and women it is not funny. Ren has left behind all off that to traverse the mortal lands having vulenteered for the mission in order to escape being used over and over again. Although he is a High Prince, he in essence is nothing more then slave to the throne......as even his mother the queen can attempt to sire an heir from him........and the part that troubles Ren the most.....she has. Ren now travels the world trying to figure out who he is....and what he truly wants in life. ~Favorite Saying: Ništa u bilo carstvo je kao što se čini. Could it be a joyous song? As a spark within the wind! could it be a dying scream?